Ms. Shemwell, is currently serving as the Chief Operating Officer of IoT Community, the largest global IoT industry thought leader association. A three-time Chief Executive Officer, she recently served as the Chief Executive Officer of entegra technologies, inc., recruited to migrate this early stage, ruggedized tablet company to provider of fully integrated portfolio of cyber security solutions for mission critical, industrial control systems (ICS). 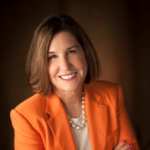 With a 20-year track record of driving high performance transformational global organizations, Ms. Shemwell has been Ranked #93 in ExecRank’s Top CSO Rankings” from 15,000 Chief Sales Officers and C-Level executives in the United States, she has also been recognized as a Finalist for 2015 D CEO M&A of the Year Award, Semi-finalist, 2018 Emerging Technology Tech Titan CEO of the Year and named a 2018 Phenomenal Women by Texas Wall Street Women. Ms. Shemwell has previously held a variety of senior positions with global business responsibilities including assignments in Europe and North America. Her experience covers a broad spectrum of general management, sales and marketing roles in rapidly developing markets. Previous positions include that of Chief Operating Officer and owner of DataSpan, President and CEO of Multi-Link, President and CEO Jovial Test Equipment, EVP Extreme Networks, EVP at Symmetricom and a 16 year career with Nortel Networks where she held titles of President, Micom Communications Corporation (a Nortel subsidiary), Vice President Business Segments, Vice President Sales and Marketing Wiltel (Nortel’s largest enterprise distributor) and Director Marketing for Europe, Middle East and Africa. Ms. Shemwell holds a Bachelor of Business Administration from Baylor University and a Master of Science in Business Administration from Texas A&M. She was named to the VoodooVox, Inc. (VVX – TSX) Board of Directors in 2006, and the NTXRCIC in 2012. Ms. Shemwell also serves as the Chair of the entegra technologies Board of Advisors, appointed in 2018 to the Board of Advisors of IoT Communities, a 22,000-member global IoT industry association. Ms. Shemwell also serves on the Associate Board at the SMU Cox School of Business and is a member of the National Association of Corporate Directors and Women Corporate Directors.